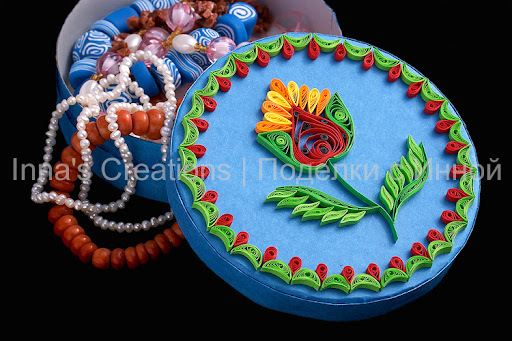 My attempt to convert a melted cheese container into a jewelry box :) The purpose was to practice paper filigree, as you can guess. 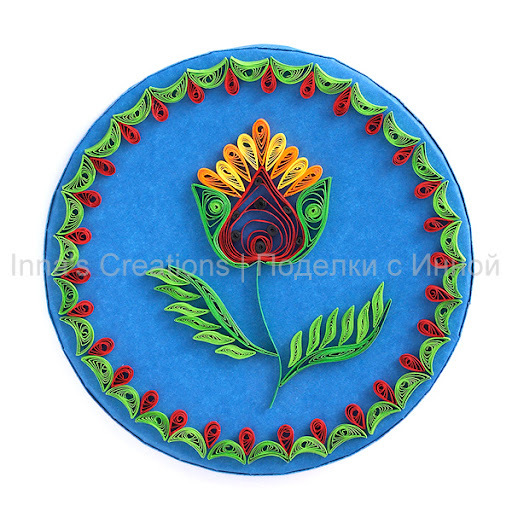 For this design I used a traditional motif of Opishnyanska painting (Ukraine), although the colors are different. 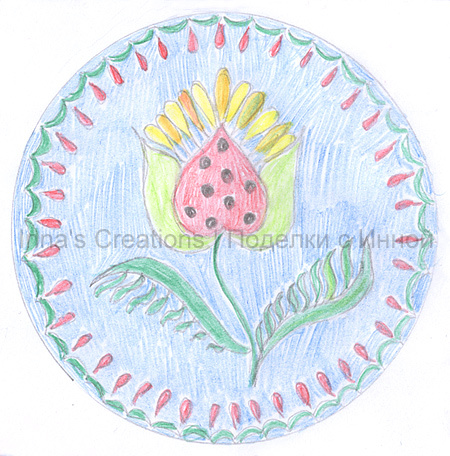 This is a colored pencil sketch of the ornament and the resulting design. 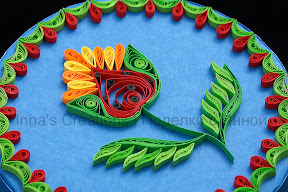 Here you can see some detail of the flower. Symmetry is well maintained. The quilled patterns are identical. Your perfection and love to this art is very much reflected. An excellent idea for recycling. Kudos to your work! You are a very good artist.